Topgolf is a combination of brunch, without the all-you-can-eat-buffet and bowling, without the bowling balls. Whether you are looking to learn a new sport, play golf, or find a new place to hang out with friends, Topgolf is the answer! Launching at Emirates Golf Club in 2020, get ready to be ahead of the game by discovering the latest updates on the UAE opening. In golf, a driving range is an area for golfers to practice and improve golfing techniques. 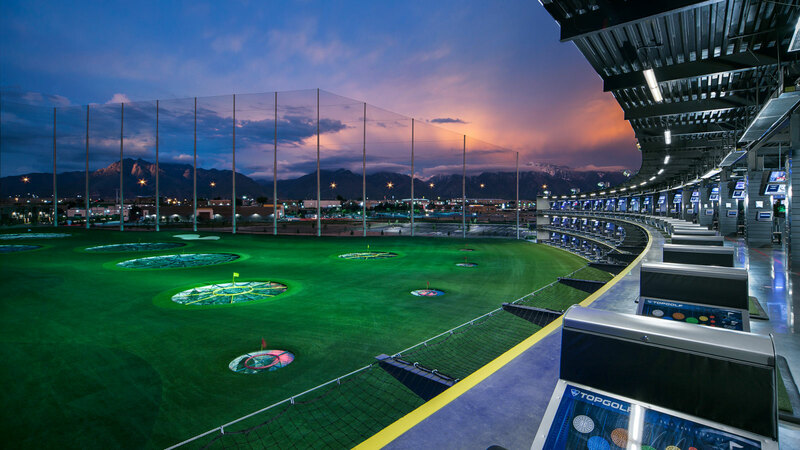 Topgolf on the other hand, is a similar layout to a driving range but instead of just improving your golf game, you’re playing with a team, consisting of friends and family – plus you’re having a great time! In short, the concept is exactly like bowling, with separate bays and turns per player, minus the bowling balls and a lot of risky golf shots. 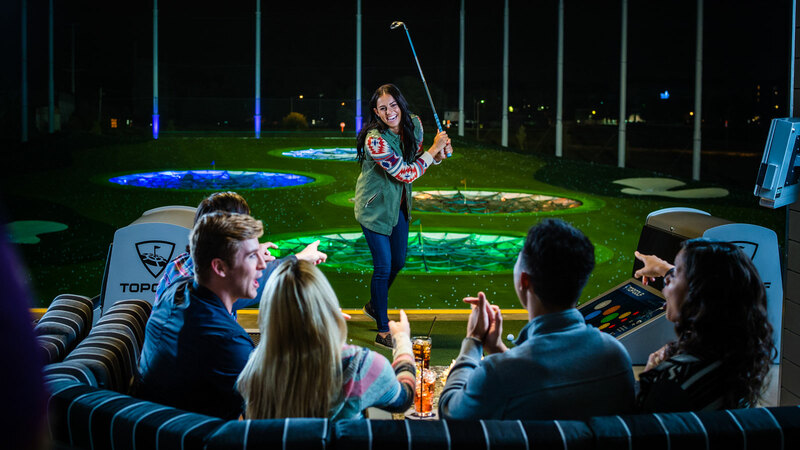 Every Topgolf venue features dozens of high-tech, climate-controlled hitting bays for year-round comfort, a chef-inspired menu for year-round deliciousness and hundreds of associates eager to help create the moments that matter. It’s a fairly new concept in the golfing world, which aims to embrace an all-inclusive environment. This means anyone can play – from families with kids to skilled golfers. No golfing skills? No worries! Even friends with no golfing experience will feel comfortable at the course. In fact, it is a great way to learn how to play golf in a relaxed environment and absolutely no stresses to get a Tiger Woods-style hole-in-one. The ultimate question: How do I beat my friends at Topgolf? In golf, you need to hit a ball with a club into a hole with as little hits as possible. Topgolf is slightly different. With this game, you score points by hitting golf balls towards dartboard-like targets set out on a field. How will you know if you’ve hit the target? Worried about getting wrinkles from continuous squinting, trying aimlessly to find your ball? Seeing that we are in the 21st century, it should come as no surprise to know that the golf balls are embedded with micro-chip technology. This is done in order to track your points accurately in live time and means that cheating is quite difficult! Topgolf’s signature game is played by aiming at any target and scoring more points by getting the ball as close to the bullseye as possible, if the target you hit is further away, you will receive more points. It doesn’t end there…there are several variations to the game, all with different rules. If one is too challenging, you have many more to choose from! Did we mention the food, drinks, and music at each game? That’s right. Topgolf Dubai and Topgolf US will not only offer a fun game to play, but will also offer delicious food, heavenly drinks, and motivating music. What could be better than taking a swing at a world-class golf course in Dubai, whilst your favorite playlist is inspiring you to become the next Rory McIlroy? Out with the old, repetitive weekend plans and in with the new, fun days spent at Emirates Golf Club. With over 52 locations across the US, UK, and Australia, Dubai is next in line to be blessed with this golfing concept and will be the first in the UAE to host the game. Due to open at the majestic Emirates Golf Club, you can play amongst the backdrop of the iconic Dubai city skyline giving the US brand a true Middle Eastern touch. Topgolf Dubai opening date has not been officially released, however, our insider contacts have confirmed that it will make its appearance in 2020 at the crown jewel of the Middle East. 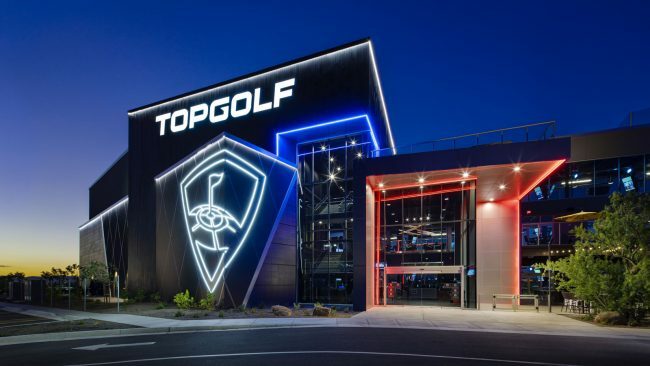 We are looking forward to seeing Topgolf in Dubai, it’s a great concept to grow the game of golf and golfscape loves to see innovation in technology within the industry. The team cannot wait to organize a game or two once the doors have opened at Emirates Golf Club.